Violence is a prevalent and persistent theme in all aspects of human affairs. A comprehensive understanding of violence therefore requires exposure to the research coming out from all the disciplines in the social sciences: their different methodologies, findings and insights. This book promotes the merits of an interdisciplinary agenda. 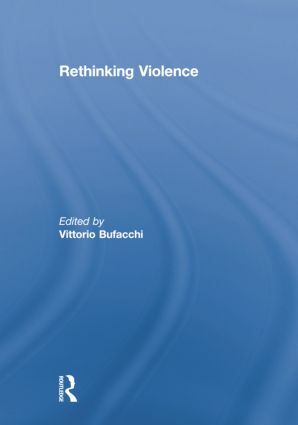 By bringing together scholars of violence working in political science, political theory, international relations, economics, philosophy, sociology, psychology and public health, this book explores the complexity of violence and the interface between the empirical and normative dimensions central to this problem. The aim is to investigate the ways in which a correct understanding of this phenomenon must deal with both empirical and normative issues. Vittorio Bufacchi teaches in the Department of Philosophy at University College Cork, Ireland. He is the author of Violence and Social Justice (2007) and editor of Violence: An Anthology (2009).